We provide opportunities for you to find a career with accredited on the job training. Volunteering is at the heart of Changes UK, we truly believe that our volunteers have a strong role to play in our organisation, and without volunteers we couldn’t achieve all the valuable work we undertake. Giving your time with Changes UK gives you the opportunity to learn and explore new skills, gain personal satisfaction and development. We value your time and support and in return we offer on the job ‘accredited’ training, your expenses will be reimbursed and you will be crucial part of the Changes UK team. 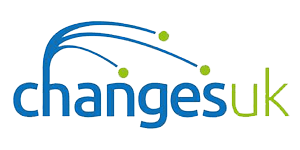 Changes UK offers flexible volunteer hours and progression when available, but more importantly a sense of belonging, team work development, have fun and an opportunity to make a difference. To register your interest in any of our volunteer opportunities please complete the volunteer application form below.